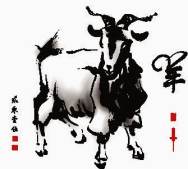 It’s The Year Of The Sheep, erh Goat, erh Ram, erh Yang? The Chinese bid farewell to the Year of the Horse this past week when they ushered in the Year of Sheep on Source: NY Times February 19, 2015. Or maybe it was the Goat. 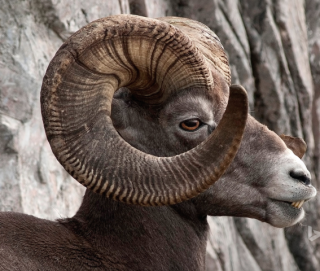 Or perhaps the Ram! But what's up with that Yang? So Why is the West so Perplexed? The reason seems be hinged on the Mandarin word for the eighth animal in the China’s zodiac’s 12-year cycle of creatures. That animal's name is “yang” ~ not to be confused with the ‘yin and yang’ of ancient Chinese philosophy that refers to the duality of the universe. And nowhere do the Chinese make a distinction (which is found in English) between goats and sheep or any other member of the Caprinae subfamily. Essentially, without any definitive qualifiers, “yang” refers to any such hoofed animal that eats grass and bleats [i.e. the characteristic wavering cry of a sheep, goat or ram]. Zhao Shu, a folklore expert at the Beijing Institute of Culture and History, said in a recent interview that the debate was silly. The creature in question arose as a general symbol of plenitude and good fortune, partly because the Chinese character yang shares roots with the one for auspiciousness, he said. “If English speakers are caught up on whether it is a sheep or a goat, that is their problem,” Mr. Zhao added. Hundreds of millions of Chinese people have traveled home to spend the Lunar New Year holiday with their families in the world's largest annual migration. 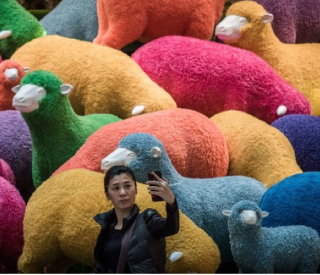 But while it is farewell to the Year of the Horse, confusion abounds as to whether the coming year is dedicated to the sheep, ram, or goat, BBC News explains. Other Countries Weigh In . . . In Vietnam, where the celebration is known as Tet, they are rang in the Year of the Goat. Whereas in Japan, people were busy dressing up their pets in sheep outfits and sending sheep-themed New Year postcards to mark 2015. Look for the Horns. . .
At the end of the day, any of the translations for yang seem to work — whether it be ram, sheep, goat. However, many Chinese New Year images show the animal with large horns (including the 2015 Chinese New Year stamp (on the left) and the CCTV Spring Festival Gala mascot, Yang Yang (on the right). No other distinction has been as to the gender of yang, so whether it’s a sheep year, you’re having a ram baby, or a goat-year marriage, all depends on the translator’s preference. For me, I remain on the fence - can't figure out if it's a little more yin, or a lot more yang!